We monitor our patients closely to keep them as safe as possible during procedures that require general anaesthesia. 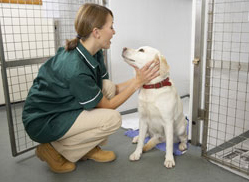 A veterinary nurse will continually assess your pet’s heart and respiratory rate, blood pressure, and other vital signs to help prevent any anaesthetic risk. For some procedures, your pet will need to be administered general anaesthesia so that he or she will be unconscious and not feel pain. Many pet owners worry about their pets being administered general anaesthesia. We can assure you that modern anaesthesia is generally quite safe; to further lower any risk, we perform a physical examination and run blood work ahead of time to catch any underlying health issues. In addition, we follow a specific anesthetic protocol, including monitoring vital signs during the procedure, to ensure the safety of our patients. We begin most general anaesthetic procedures by administering a sedative to help the pet relax and decrease any anxiety and pain. We then administer an intravenous drug to provide complete anaesthesia and place a breathing tube into the patient’s trachea (windpipe). To maintain the state of unconsciousness, we deliver a gas anesthetic in combination with oxygen through the breathing tube. If your pet is having a minor surgical or diagnostic procedure performed, we sometimes use a local anaesthetic to help control pain. 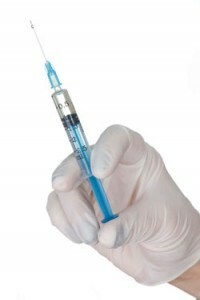 For example, when we perform a biopsy (in which a small portion of tissue is surgically removed so it can be examined), we often use a local anaesthetic. Local anaesthetics cause a loss of sensation in the area where the procedure is being performed. We sometimes use a sedative and/or anxiolytic (anti-anxiety medication) in combination with the local anesthetic to keep pets calm during a procedure.